We have the demand. You have the property. Our commitment is to help our homeowners maximize their property's income potential. Big Cabins' goal is to provide an overall relaxing experience for you & future rental guests. Our success is built on having a large-scale marketing reach while never forgetting the importance of professional and personalized service. Big Cabins continually strives to exceed our homeowner's rental income goals. We provide individual attention to every one of our rental properties and our team of industry experts craft a fully optimized listing for your cabin. Our goal is to make sure your cabin or condominium reaches its full investment potential. We pride ourselves on having a local team with global support, making us the best of both worlds and the perfect partner to manage your vacation rental property. Our goal is to drive your revenue further by creating a strategic marketing plan. Through this plan, we will enhance your bookings and generate the results you expect by optimizing distribution channels. In other words, our marketing doesn’t start and stop there. We proudly partner with several other distribution channels and maintain your property there as well, putting more money in your pocket. If you've got a property within our inventory's destinations and you're looking for personal service, powerful marketing, and exceptional property management, we look forward to the opportunity to speak with you. Contact our Business Development Manager, Joseph McConnell (865) 868-4728 to join our program or for any additional information or questions that you may have. Our local call center is available 24/7 and offers superior service to our guests and property owners. Let us handle your cabin rental reservations from the moment they are booked to the moment the guest checks out. We are experts at handling all aspects of vacation rental reservations and focus on maximizing your guest's experience so they come back again! A local marketing team with years of design, social media and vacation rental experience work hard to make sure your rental property gets the exposure it deserves. We are locally sourced and backed by an international corporation, which gives us the tools we need to stay up to date with the newest web-based technology. Our dedicated team of revenue management professionals is constantly changing rates and promotions to maximize both occupancy and rental revenue. Their sole purpose is to maximize your cabin’s revenue using modern analytics & data analysis techniques. Why have just one? We manage over 20 of our own transactional & area-guide websites giving your cabin more internet real estate. We list all of our cabins on third party websites (VRBO, Airbnb, HomeAway, etc.) in order to increase your cabins reach to potential customers. Big Cabins use an advanced phone system & computer software that provide us with real-time data no other competitor can match. In addition to regular, routine inspections, our team of professionals handles all property related maintenance issues. LetBig Cabins' team of maintenance personnel address all concerns and emergencies on your property. We have you covered. 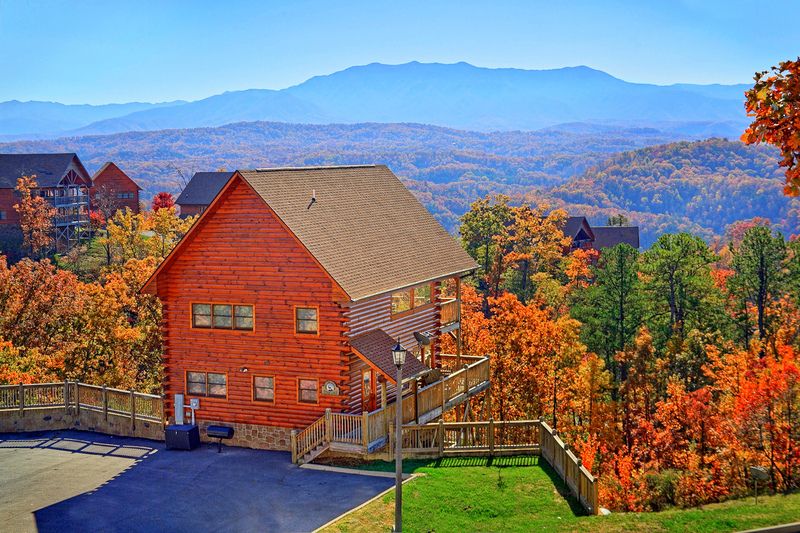 All of our cabins are equipped with state of the art technology that allows guests to check into their cabin rental remotely, so they can maximize their time in the Smoky Mountains and begin their vacation worry free! Each cabin is equipped with a KABA Keyless Access Lock, which generates a unique entry code for every reservation. This technology allows our team to remotely manage our cabin rental properties and grant access through time sensitive codes so there's no need to distribute keys to guests, keeping your property safe and secure. The happiness of our property owners is our first priority. We pride ourselves in forming long lasting relationships with our cabin owners. Your local, dedicated liaison is available at your disposal to discuss any questions or concerns about your property. We want this relationship to last. Big Cabins are managed locally and backed by a publicly traded corporation. This means you receive personal attention, fair dealings, and strong marketing & operational support.